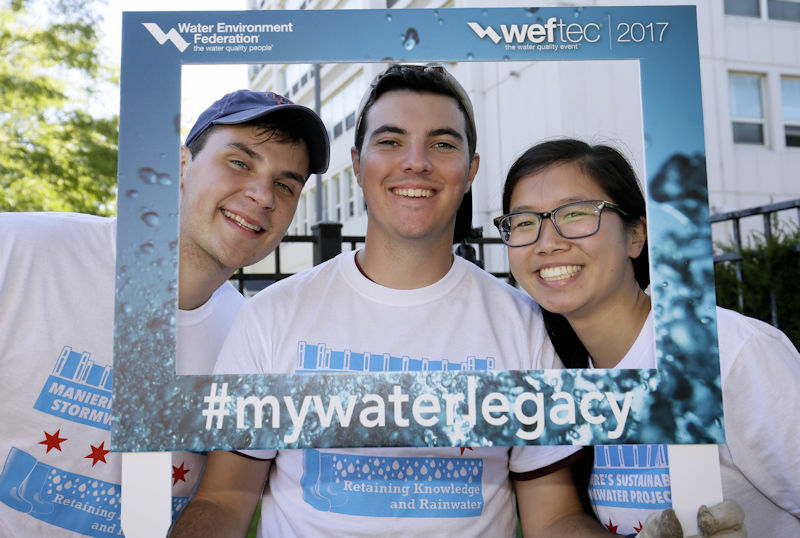 Volunteers at the 2017 Water Environment Federation (WEF; Alexandria, Va.) Service Project join in the #MyWaterLegacy campaign which showcases the legacy that members’ leave in the water sector. Photo courtesy of Oscar & Associates. The Water Environment Federation (WEF; Alexandria, Va.) offers its members indispensable educational resources and forms deep networks between water sector professionals. A new video showcases the benefits of being a WEF member. Membership provides access to such publications as Water Environment & Technology magazine, to educational materials including webcasts, and to leadership positions on technical committees and other professional development opportunities. Becoming a member also enables professionals of all ages and backgrounds to receive discounts to other WEF events and technical resources such as WEFTEC and WEF’s Manuals of Practice. Learn more by watching the video below. Join now at www.wef.org/joinWEF.